A provisional publication proposal should be prepared on completion of fieldwork when planning for analysis, as recommended by Historic England (MoRPHE Project Planning Note 3, Archaeological Excavation, 3.5). This preliminary synopsis should be copied to the editorial board as soon as it is ready. `Academic and editorial comment can more usefully be canvassed at this stage than at a later stage in the preparation of a report text, when alteration is more difficult and more expensive’ (MoRPHE PPN3, 3.5.3). Notifying the editorial board early on may also avoid rejection of the finished text on the grounds that it is not suitable for the series. It is when planning for analysis that provisional publication costs can be discussed with EAA, in accordance with MoRPHE PPN3, 3.5.5–6. A developer-funded project without any assistance from Historic England will still be expected to follow these requirements for synopsis timing and format, and the standards of report preparation and planning set out in PPN3. Early attention to editorial and production costs is particularly important in these cases. Once the analysis of the material has been completed and the author is in a position to create a full text, a final synopsis confirming details of content and intended means of presenting information should be sent to the board. It is helpful at this point if main author(s) and publisher are clearly identified, and the availability of publication funding confirmed. a short summary explaining how the report has been planned to reflect the archaeological significance of the project. a chapter by chapter breakdown of the report, giving a summary of the contents of each chapter and indicating how the information will be presented (e.g. published text, tables, line drawings, half-tones, colour plates; electronic dissemination). the anticipated length of the text sections, and proposed number of illustrations, tables etc. Length should be expressed as EAA pages, at c.1000 words per page, to demonstrate the balance between sections. Rough estimates are adequate for outlines of content supplied in preliminary synopses. The point is to provide the board with an idea of the level of detail and relative emphasis of the content, and to justify publishing the results of archaeological work in this way. If you intend to supply additional material —in digital form for electronic publication — a Contents of CD-ROM should be supplied, with an estimate of the amount and format of the material involved. A synopsis should reach the managing editor, who also acts as secretary to the editorial board, at least ten days before the next editorial meeting. See Dates. 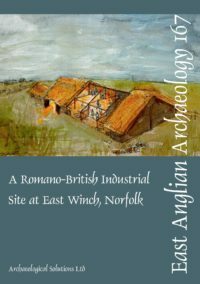 If your report is accepted for East Anglian Archaeology, please prepare a draft text with reference to Notes for Authors. These guidelines set out publication conventions and house style preferences which are fairly standard in academic publishing. They are intended to ease the progress of reports through the editorial stages and to be of benefit to authors and editors alike. Authors should note that there is a three-year time-limit once a final synopsis has been approved. If the draft text is not submitted during that time, the synopsis should be reviewed, revised if appropriate, and re-submitted. If final synopses are not reviewed periodically in this way, there is a risk that extensive revisions may be recommended by academic readers when the draft text is eventually submitted.